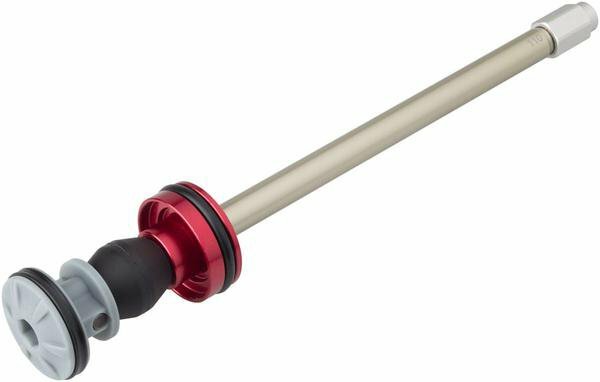 The new Debonair Air Spring delivers the most responsive forks in RockShox’s history. The same technology that was a pinnacle development in their rear shocks, is now available for their forks. With this upgraded, you will experience traction in more conditions than ever before. Debonair provides a major increase in suppleness and small-bump compliance, due to an increased volume in the negative air spring. A great upgrade for any rider looking for a more sensitive and smooth ride. Awesome upgrade for pre 2019 forks! Purchased this air spring to do a travel change on my 2017 Rockshox Pike. Along with the 10mm increase in travel, the fork feels much less harsh over small bumps and has a mild increase in mid travel support. For the price, it can't be beat! I have a yari 160mm 27.5 if i install this will it be 160mm travel still? i have a 27.5 Pike 160mm travel, will this kit decrease my travel to travel to 150mm? Will this work on a 2016, 160mm Pike? Will this work on that fork? What is the RS part number for the 130mm-29" version?